Indian Association of Teacher Educators (IATE) the oldest and leading professional body of teacher educators of India was established on 25th Nov, 1950 at MS University of Baroda due to initiatives of eminent educationists like late Prof. T. K. N. Menon, Late Prof. Hansa Ben Mehta and Late Prof. S.N. Mukerjee. It was registered under Societies Registration Act in 1966. 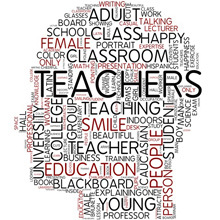 IATE has been playing significant role in providing a platform to teacher educators of India and neighboring countries for meaningful deliberations on various issues related to education system in general and teacher education in specific. It has made ventures in influencing policy decisions in shaping teacher education programme in the country. Organization of annual conferences, national and international seminars and workshops as well as publication of its journal are some of the regular features of IATE. Currently it has life membership of more than 2,000 covering different regions of the country.